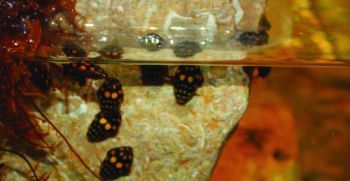 University of Cincinnati biologists have discovered remarkable eyes in the humble larva of the sunburst diving beetle (Thermonectus marmoratus). Four of the larva’s 12 eyes had “the first demonstration of truly bifocal lenses in the extant animal kingdom”. Furthermore, these tube-shaped eyes avoid a problem of man-made bifocals, where the sharp “first image is more ‘contaminated’ by the blurry second image.” The larva’s bifocal eyes each have two retinas and two focal planes, so the images don’t interfere with each other. This unique “design” allows them to “focus far and near objects in individual retinas” simultaneously. This helps them to catch their favourite prey, mosquito larvae, by quickly switching from far to near vision on their target. Current Biology 20(16):1482–1486, 24 August 2010. University of Cincinnati News, www.uc.edu, 23 August 2010. 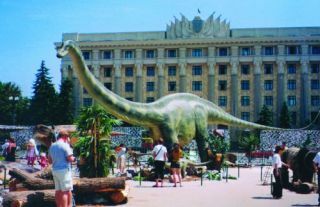 Kharkov, the second largest city in the Ukraine, hosted a free exhibition of dinosaurs from Austria for several weeks in Lenin Square in mid-2010. Accompanying the dinosaur models were life-size mammoths, cave bears and cave men. The display was lacking in information, so long-time friend of CMI, Sergei Golovin (see Creation 22(4):24–27, 2000; creation.com/golovin), and his Ukrainian team of biblical creationists (from their Christian Center for Science and Apologetics) stepped in. They sought, and were given, permission to distribute free information to people who attended the display—right next to a statue of Lenin, the fiercely atheistic patriarch of now-defunct Soviet communism. Some years back, this group had taken the opportunity to translate some of CMI’s material—in particular a small booklet on dinosaurs. Those in stock were quickly distributed and a reprint ordered. 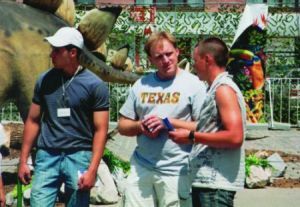 Sergei tells of the many opportunities this display gave for sharing the gospel message. Psychologists in Canada studied patterns of brain activity in people given a stressful task to do. The subjects for the study were first given an exercise where they thought about God or a more neutral subject. Those who believed in God and were thinking ‘God thoughts’ showed less anxiety during the stressful task, whereas it did not help those who were atheists. For the atheists, ‘God thoughts’, induced consciously or unconsciously, actually increased activity in parts of the brain associated with anxiety. This of course would not surprise Christians. The “aroma of Christ” is to believers “a fragrance from life to life” but to unbelievers “a fragrance from death to death” (2 Corinthians 2:15, 16). “Brain study shows that thinking about God reduces distress—but only for believers”, www.physorg.com, August 2010. The monitor lizards include the Australian goanna, and Indonesia’s renowned Komodo dragon, the largest living land reptile at three metres (ten feet) in length. All known monitors (of the family Varanidae) are carnivores; many monitors eat other lizards; Komodo dragons also hunt and eat pigs, deer, horses and water buffalo—and even each other. Now a new species of monitor has been discovered which is an impressive two-thirds the length of the huge Komodo. The big lizard, found in hitherto unexplored forests on the Philippines island of Luzon, is covered in bright yellow spots. Unlike other monitors, though, this type survives happily on a diet of fruit. When contemplating the possible ways that carnivory, absent in the pre-Fall world, could have entered the world after Adam sinned, it’s always of interest to come across either a member of a herbivorous group which has taken up flesh-eating, or as in this case, a member of a group thought to be exclusively meat-eating is shown to be (still?) vegetarian. 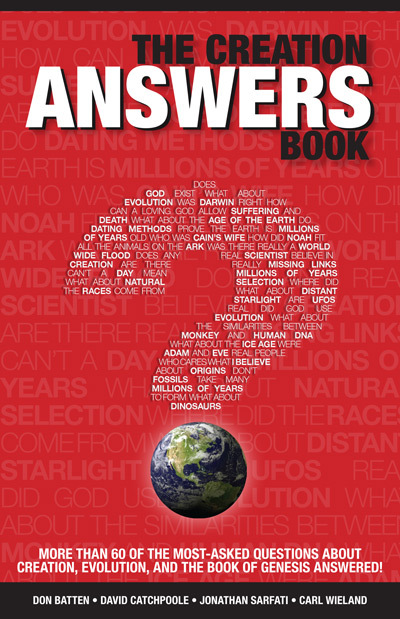 See more in-depth discussion in Chapter 6 of CMI’s The Creation Answers Book, addresses p.2. New Scientist, 10 April 2010, p. 7. 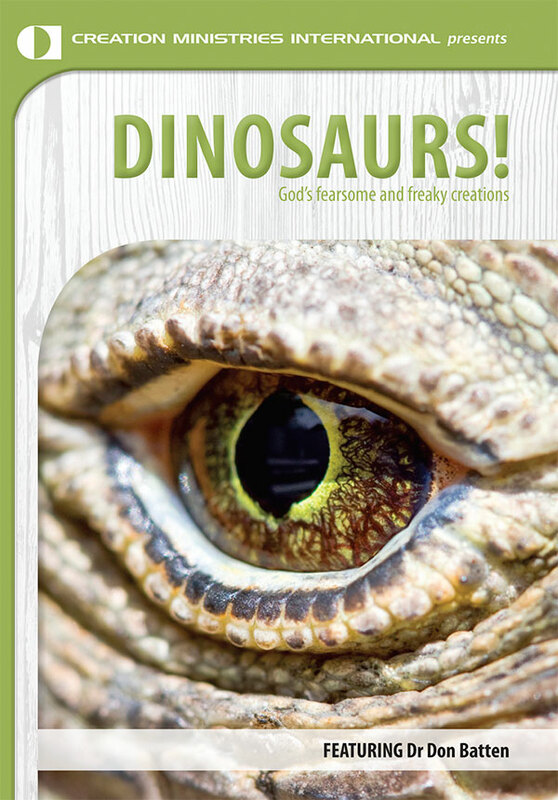 How could Noah fit all the dinosaurs on the Ark? 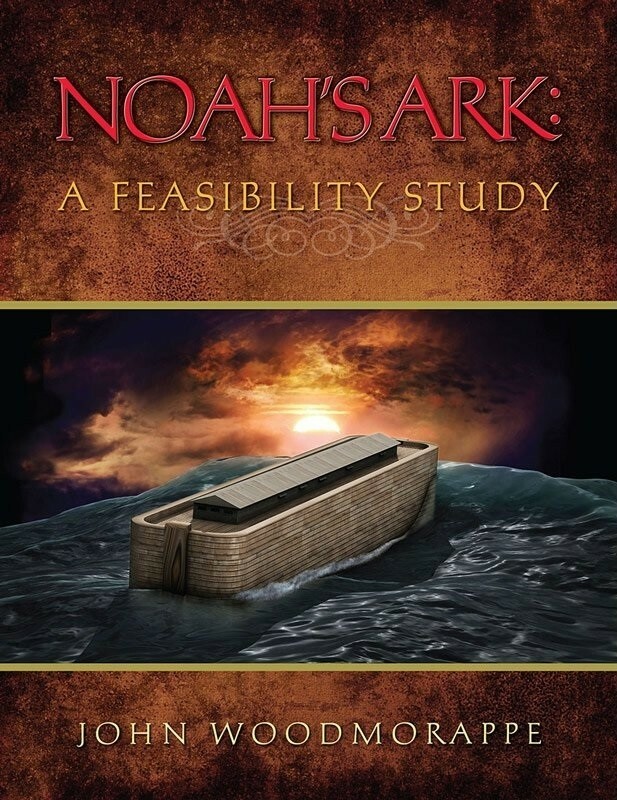 Very easily, as shown by the thoroughly documented book Noah’s Ark: A Feasibility Study (addresses p.2). And discoveries since the book was published make it even easier. For example, dinosaurs went through a sharp growth spurt. This means that Noah didn’t need to take a pair of fully grown 30-ton Apatosaurus. Instead, he could have taken a pair of 4-year-old, one-ton specimens; a year later, they would be hardly any bigger, but after they disembarked, they would grow fast and their full mass of 25–30 tons by the age of 12–13 (Creation 28(1):44–47, 2005; creation.com/dinogrowth). Also, many dinosaur types have been shown to be younger versions of differently-named dinos. For example, Mussaurus was a baby Coloradisaurus; Nanotyrannus was a young T. rex; and Dracorex and Strygimoloch were just juvenile forms of Pachycephalosaurus. Similarly, Lesothosaurus diagnosticus was thought to be not only a different species, but even a different genus to Stormbergia dangershoek, about twice as long and probably three to four times heavier. Both are ornischians or ‘bird-hipped’ dinosaurs. But a closer look has led researchers to conclude that they are in fact one and the same, with one being smaller because it was still younger than the other. Naturally, Noah wouldn’t have needed to take all the different stages of growth of the same dino, but only adolescent specimens. See creation.com/dino-puberty-blues. Now, this has even affected the iconic dino Triceratops, known for its three horns and bony frill. A less famous dino, Torosaurus, shared the three horns but had a much longer skull, with two large holes. But new research indicates that Torosaurus was really a mature Triceratops. No young torosaurs have been found, and the older Triceratops specimens have noticeable thinning in the frill right where the torosaur holes are. Since Triceratops was the first named of the two, its name still stands, while Torosaurus must be abolished as a valid name. So Noah’s task is now shown to be easier still. Tiny dinosaur creates paleontology puzzle, discovery.com, 4 January 2010. Journal of Vertebrate Paleontology 30(4):1157–1168, 2010. 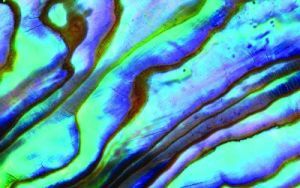 Certain shellfish produce an iridescent material that is very strong, lightweight and resilient, as an inner shell layer, known as nacre (see also Creation 30(1):44–45, 2007; creation.com/amazing-abalone-armour). Researchers at the Helsinki University of Technology have now developed a nacre-inspired composite material which they expect to be used by the electronics industry as an insulator that is strong, flexible, lightweight and fire resistant. 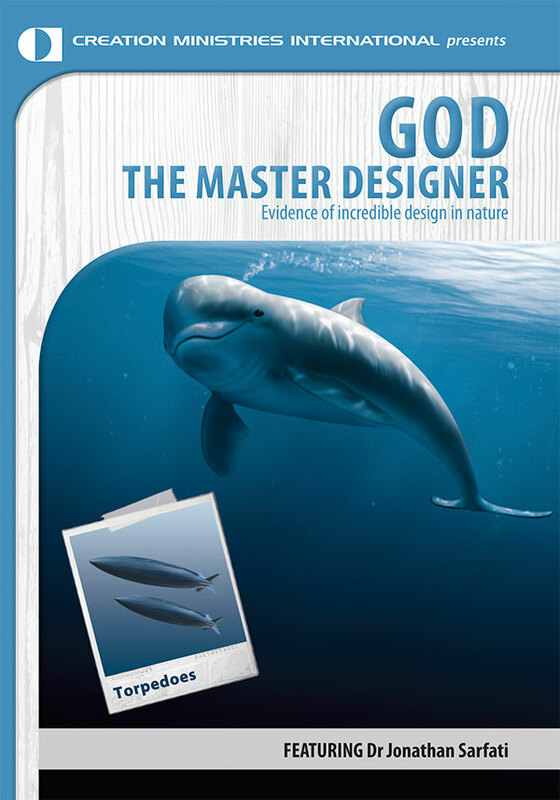 This is yet another example of engineers being inspired by (and seeking to copy) God’s designs—for more, see creation.com/biomimetics. Nano Letters, doi: 10.1021/nl1003224, 10 March 2010. The 20,000–25,000 protein-coding genes in the human genome are used to create over 100,000 distinct proteins through a process called “alternate splicing”. This is a brilliant design concept that allows for a minimal number of genes to produce a maximum number of proteins by re-using different parts of various genes in complex combinations. Until recently, the process of how this occurs was mostly a mystery, but a new study claims to have discovered the beginning of the splicing code. What researchers found is a marvel of complexity. 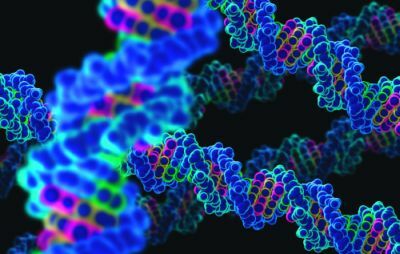 They found many ‘motifs’ (short DNA words of 5–10 letters each) that could be used to explain about 60% of the alternate splicing patterns found in the human genome, including the proteins that are found at different stages of development and in different cell types. Depending on cell type, 12–19 different motifs were associated with each piece to be spliced. This means the splicing code is complex, and that complex combinations of instructions are needed to control the combinations that lead to the multitude of proteins found in the human body. They also documented features much further into non-coding regions than previously known (up to 300 letters away). Thus, even more “junk” DNA has been subsumed into the functional DNA category! To summarize, even though gene scientists have only scratched the surface, they have already discovered amazing complexity. God wrote a genetic computer program that is, to date, unsurpassed by any human technology. His program is a wonder of data compression and efficiency. It is more sophisticated than anything we have ever contemplated. For more on this see creation.com/splicing. Gene counters struggle to get the right answer, Science 301(5636):1040–1041, 2003. Deciphering the splicing code, Nature 465(7294):53–59, 2010. According to evolutionary dogma, once upon an eon, all vertebrates shared the same blood. But not anymore. 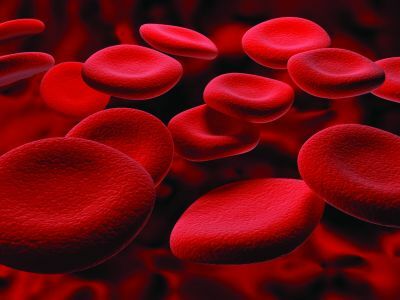 A paper recently published in the prestigious Proceedings of the National Academy of Sciences (USA) claims hemoglobin (the complex oxygen-transport protein that gives blood its red colour) evolved not once, but twice—completely independently of each other. Scientists analyzed the genes of jawless and jawed vertebrates and concluded these two groups used completely different proteins as templates for their different types of hemoglobin. The old evolutionary tale was much simpler and much more likely to happen (if evolution could happen). This new tale is called convergence—when two unrelated creatures share a similar trait. The trait therefore had to evolve twice. Evolving hemoglobin once by random mutation and selection is already stretching credulity to the limit, but twice … ? Similar ‘convergences’ are found repeatedly throughout life, with more and more instances uncovered all the time. 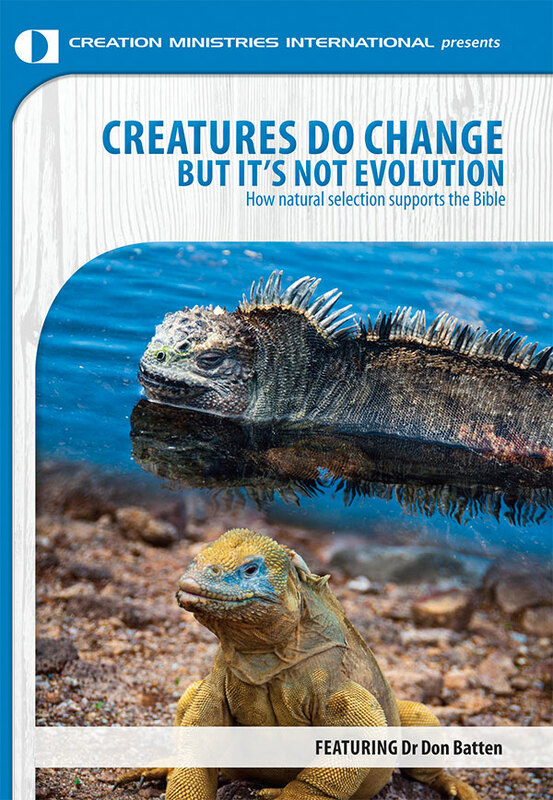 This undermines evolution because it unites living things in a way that can’t be explained by common descent. 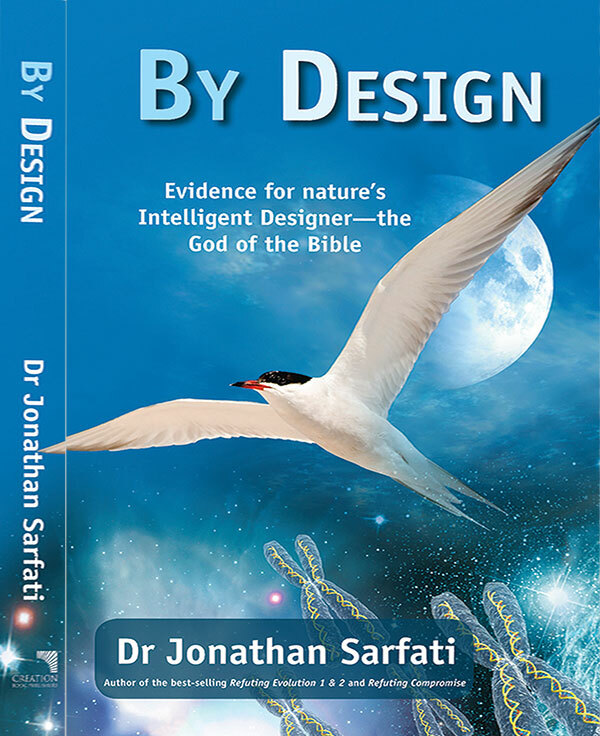 Rather, it speaks of a single Creator of life, who made all things to resist evolutionary explanations. Proceedings of the National Academy of Sciences (USA), doi: 10.1073/pnas.1006756107, 26 July 2010. Biologists find that red-blooded vertebrates evolved twice, independently, www.physorg.com, 27 July 2010. A team from Hong Kong known as Noah’s Ark Ministries International, or NAMI, claims to have found Noah’s Ark under the ice high up on Mt Ararat, and has shown video footage to the world of rooms lined with wood. From the beginning, rumours circulated that NAMI had been the victim of a hoax perpetrated by the guide who led them to the site. CMI had been invited to join NAMI’s research and news conferences in Turkey. Before committing the ministry to this, CMI’s Dr Carl Wieland flew to Hong Kong to meet with the team who had been on the site. 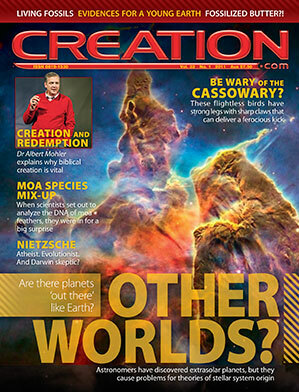 He became convinced that a hoax was likely, and we published this on creation.com. Another Ararat Ark-searcher, Randall Price, who claims to have located an interesting anomaly under the ice elsewhere on Ararat, has now accessed the NAMI site and sampled the wood from the rooms. He states that he has had the wood dated as modern. Some of the planks bear markings like those made by modern high-speed rotary planing machines. The outside of the wood has apparently been artificially blackened with ash and heat, but the inside looks fresh. Price has also video-taped an interview with a person who claims to have assisted in the construction at the site to fool NAMI. Leading creation ministries have long thought that Mt Ararat itself, an active post-Flood volcano, is a most unlikely landing spot. The Bible talks of the mountains of Urartu/Ararat, a sizeable geographic region. Insect fossils in rocks (allegedly “34 million years old”) found on the Isle of Wight in the 1920s and labelled as ancient ants, have been shown to be, instead, fig wasps—and identical to those alive today. Fig wasps are very specialized creatures which have a complex relationship with their fig tree hosts, which use them to spread their pollen. There are some 800 species of fig tree today, and each is pollinated by just one (sometimes two) of the many hundreds of species of this wasp (which would have descended from an original created kind). And in turn, these one or two wasp species are uninterested in any of the hundreds of other species of this kind of tree. 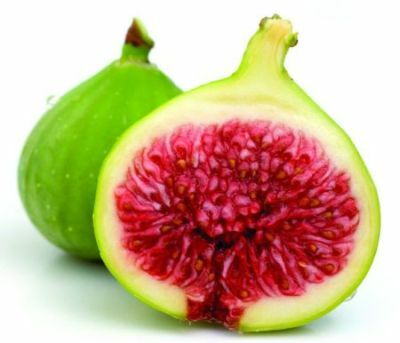 Such specialization and diversification (of both the wasps and the figs, which likewise descended from the same kind) would have happened quickly, aided by natural selection, soon after creation. But all of hundreds of today’s species of this particular wasp kind have features (presumably present in the ancestral kind) suggesting deliberate design for getting into the ‘hidden’ flowers in the green ‘fig fruits’. (These ‘fruits’ are really structures—called synconia—that contain a lot of tiny flowers). This includes their body shape, and special tiny pockets for carrying the pollen beneath their 1.5 mm-long bodies. A team led by Steve Compton from the University of Leeds, UK, confirmed the identification. They found not only the same sorts of specialized structures for laying the wasp’s eggs within the ‘fruit’, but also the same pollen pockets, even identifying grains of fig pollen within them—and also in a fig wasp in Dominican amber (“20 million years”)—also identical to modern ones. Compton stated that this was “an example of something remaining unchanged for tens of millions of years”—i.e. still more of the oxymoronic “evolutionary stasis”. World’s oldest fig wasp fossil proves that if it works, don’t change it, www.sciencecentric.com, 16 June 2010. Scientists at the University of California have discovered yet another way that mother’s milk benefits babies. About 21% of the milk early in lactation is indigestible. This part comprises special sugars that have two roles. Firstly, the sugars are like those on the surface of human cells to which disease-causing microbes attach to infect them. This means that if the baby ingests any nasty germs, they attach to the sugar complex in the milk instead of infecting the baby. Secondly, this part of the milk feeds special bacteria, which can digest the sugars, in the gut of the baby. 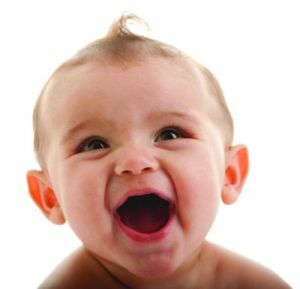 These bacteria produce a coating on the baby’s gut, protecting it from harmful microbes. Breast-fed babies presumably acquire the special strain of Bifidobacterium from the mother, but the scientists have not been able to find it in mothers, although adults have other strains of the microbe. Just where it hides and how the mother transfers it to her baby are unknown. One of the researchers described milk as “an astonishing product of evolution”, but it seems more like a testimony to masterful design by our Creator. Breast Milk Sugars Give Infants a Protective Coat, www.nytimes.com, 3 August 2010. “Being Christian is one thing. Fighting for a cause is another, and much easier to acknowledge—for in recent times it has grown clear that the Christian religion is threatened with a dangerous defeat by secular forces which have never been so confident. “Why is there such a fury against religion now? Because religion is the one reliable force that stands in the way of the power of the strong over the weak. The one reliable force that forms the foundation of the concept of the rule of law. The one reliable force that restrains the hand of the man of power. In an age of power-worship, the Christian religion has become the principal obstacle to the desire of earthly utopians for absolute power. “How I found God and peace with my atheist brother”, hitchensblog.mailonsunday.co.uk, 11 March 2010. So your relative or friend makes a habit of sponging off of you? Relax, they’re probably just expressing their genes. 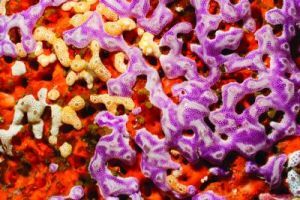 According to a report by Australia’s national broadcaster, the ABC, an international team has sequenced the genomes of marine sponges from the Great Barrier Reef in Queensland, Australia. The report names University of Queensland Professor Bernard Degnan as the scientist who “has discovered sea sponges share almost 70 per cent of genes with humans”. So next time someone tries to imply that chimps are 90% (or whatever the latest figure is) human because they share 90% of their genes, why not ask them if they believe by the same logic that sponges are 70% human? What this highlights is the immense ingenuity of nature’s Master Designer, and the increasingly obvious subtlety of the genetic code (see Creation 30(2):42–44, 2008; creation.com/splicing). To be able to have end products with such variety and complexity as separates university professors from sea sponges from a few thousand commonly used themes at the basic code level is nothing short of astonishing. Researchers find sea sponges share 70pc human genes, www.abc.net.au/news, 5 August 2010. Fast fish changes—a sticking point? A paper recently published in Proceedings of the Royal Society B documents the rapid “evolution” of cold tolerance in saltwater stickleback fish. In three generations, the populations had adapted tolerance to water 2.5°C lower than their ancestors. This example of “evolution” is nothing more than natural selection. Natural selection culls already-existing information, which of itself adds nothing new. So it is not surprising from a biblical creation framework for such changes to happen quickly. In fact, it’s what we would expect, given the biblical history of rapid diversification after the Flood. But it always seems to be announced as ‘big news’ to evolutionists used to thinking in terms of vast ages. Further, as a population becomes more specialized, with less and less variety, there is generally a ‘price to pay’ in such a downhill process. This is seen clearly in artificial selection, such as dog breeding. The more specialized breeds are overall less hardy and adaptable than their genetically richer ‘mongrel’ ancestors (see Creation 32(3):28–32; ‘Parade of Mutants’—Pedigree Dogs and Artificial Selection). Thus it is no surprise to find one of the articles here referring to this rapid change in the stickleback fish as “not achieved without a cost”—a population with less likelihood of longterm survival. This is the opposite of the expectations of fish-to-philosopher evolution. Proceedings of the Royal Society B, doi: 10.1098/rspb.2010.0923, 4 August 2010. Tiny fish evolved to tolerate colder temperature in three years, www.physorg.com, 4 August 2010.